Dr. Kim Hunter Reed was confirmed as Executive Director of the Colorado Department of Higher Education on March 7, 2017. 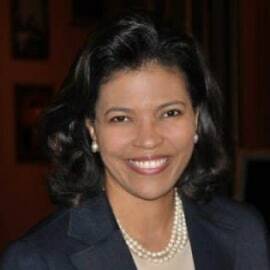 Reed, a former Louisiana higher education official, most recently served in President Obama’s administration as deputy undersecretary at the U.S. Department of Education, leading postsecondary diversity and inclusion work, supporting strong student and outcomes focused policies and aggressive national outreach efforts. She also led the White House Initiative on Historically Black Colleges and Universities. Prior to serving in the administration, Reed was a principal at HCM Strategists LLC, a public policy and advocacy consulting firm in Washington, D.C., focused on advancing effective solutions in health and education. Reed has extensive higher education and government experience. She chaired Louisiana's higher education transition team in 2015 and has served as Louisiana's state policy director. Reed previously served as chief of staff for the Louisiana Board of Regents and executive vice president of the University of Louisiana System. Prior to those roles, she served on the faculty at Southern University in Baton Rouge and was executive assistant to the president and interim vice president of student affairs at Southeastern Louisiana University in Hammond.